Luckily the rain did little to put off the keen bidders for our 17th May 2017 auction. There were over 500 lots on offer, so plenty for buyers to choose from. 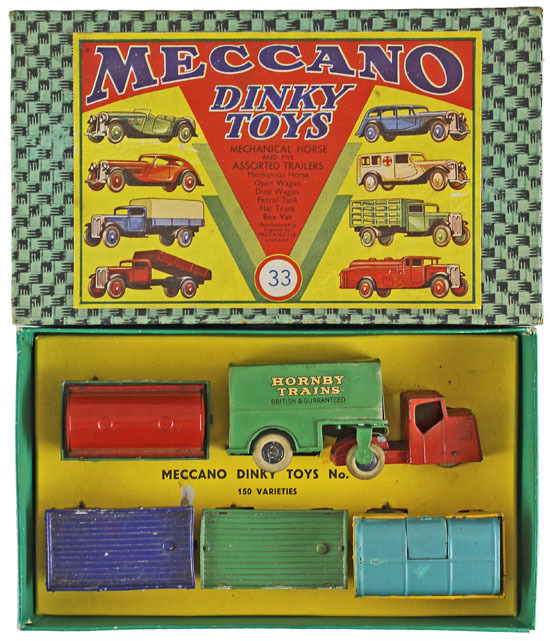 Starting in the toys section this Meccano No. 1 constructor car red/ blue realised £377. 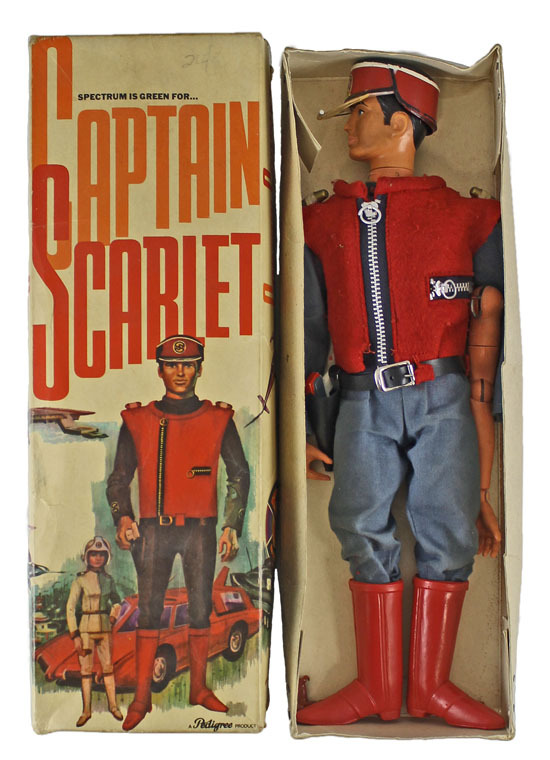 And this Pedigree Product Captain Scarlet plastic action figure sold for £236. Moving on to the model soldiers section this Lineol German Flak 36 88mm A.A. Gun No 1230 achieved £188. 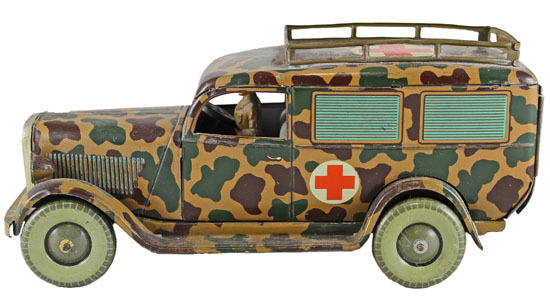 This Tipp & Co tinplate clockwork German Army ambulance realised £212. 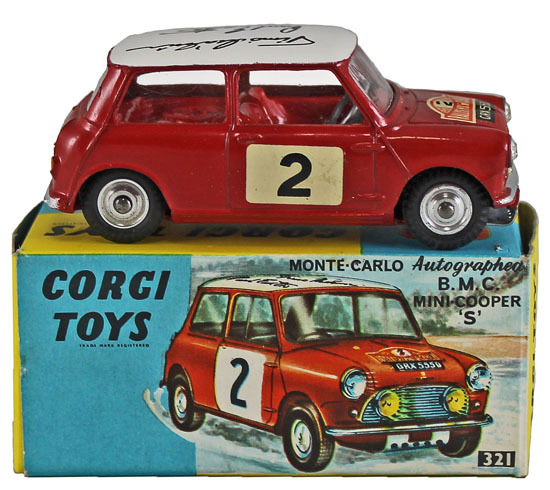 In the die cast section Corgi Mini Cooper S ‘Monte Carlo 1966’ No. 321 sold for £271. The Dinky section this auction was particularly strong. 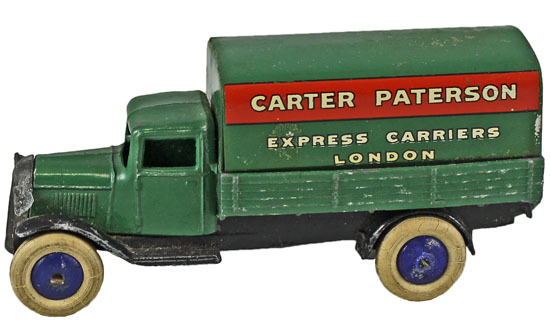 Highlights include this Dinky Covered Wagon ‘Carter Paterson’, green tilt, No. 25b which achieved well above estimate at £365. This Delivery vans trade box No. 28/2 which included type 2 Marsh’s Sausages, Dunlop Tyres, OXO, Kodak, Crawford’s Biscuits and Meccano vans sold for £1,062. 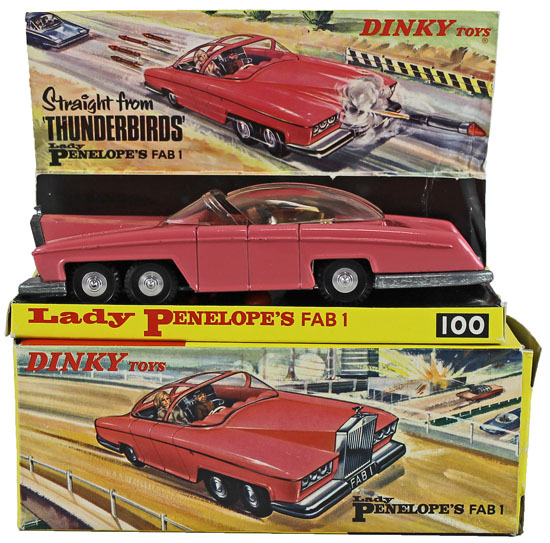 This Thunderbirds Lady Penelope’s FAB 1 No. 100 realised £377. And this Mechanical Horse and five trailers Gift set No. 33/1 achieved £424. 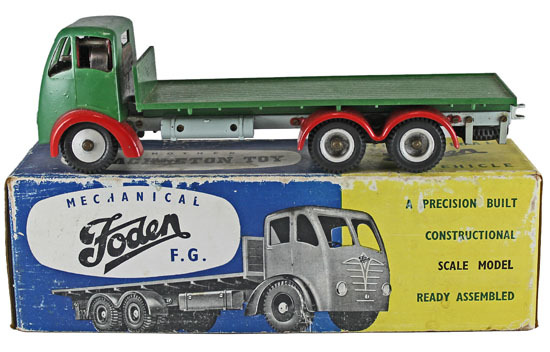 Other die cast manufactures sold well in this sale too with this Shackleton clockwork Foden FG Flatbed selling for £365. 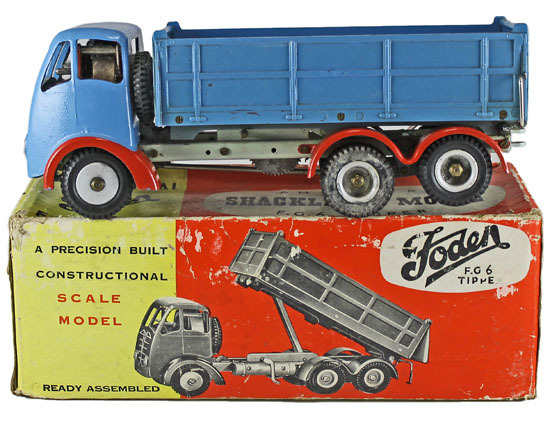 And this Shackleton clockwork Foden FG6 Tipper which realised £424. Our next die cast, model soldiers and toys auction will be held on Wednesday 19th July 2017. The full catalogue for this sale will be on our website in the next few weeks or keep an eye on our Twitter and Facebook pages which will include updates of our latest auction news.